President Buhari appoints Momoh as NERC chairman – Royal Times of Nigeria. 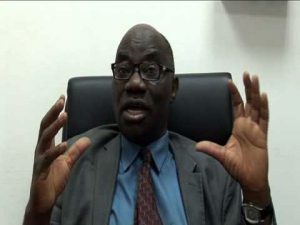 President Muhammadu Buhari has nominated Professor James Momoh for the position of Chairman of the Nigerian Electricity Regulatory Commission (NERC). The Senior Special Assistant to the President on Media and Publicity, Malam Garba Shehu, made this known in a statement today. President Buhari strongly expressed belief that Momoh has the technical knowledge, capacity and integrity to lead the commission’s effort to bring about the much needed change in Nigeria’s power sector. According to Shehu, the President’s nominee has been sent to the Senate for confirmation. Momoh is a Professor of Electrical Engineering and Computer Science; and Director of Energy Services and Controls at Howard University, United States of America. He is also a Life Fellow of the Institute of Electrical and Electronics Engineers and Fellow of the Nigeria Society of Engineers and has over three decades of teaching and research experience in power system, smart grid, optimisation and power communications.